It appears as if Plants vs. Zombies won’t be the last new PopCap Games IP before the universe drops into oblivion in 2012. The casual company just slapped a trademark on YetiTrain, a name for an unknown piece of electronic software. Barring that it is announced or indeed hits before said oblivion, it could be the greatest videogame ever created. Think about it: yetis and trains -- two of the metal-est things this side of sugar-free jam and bulldogs. We obviously don’t know what’s up with the title. Trademarks don’t delve into details like mechanics, but that’s not stopping our imagination from firing in all sorts of ridiculous directions. Also, it hasn’t stopped our urge to ask PopCap what is up with this possible title. Expect an update if we nab a comment. 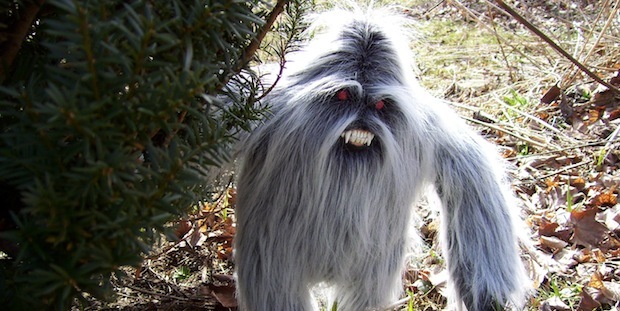 Until then, feel free to discuss yetis and trains, and why both these things are so important.